That's the name of the spunky group of fiber and needlework artists founded by Ivy McClellan, Kath's beloved grandmother. 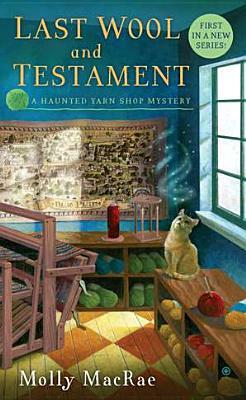 Though Ivy has recently passed on, the members still meet regularly at her fiber and fabric shop, The Weaver's Cat, which Kath has now inherited. But that's only the first in a series of surprises when Kath returns to the small town of Blue Plum, Tennessee, to settle her grandmother's affairs.